Nature Camp | Green Spring Garden Club, Inc. 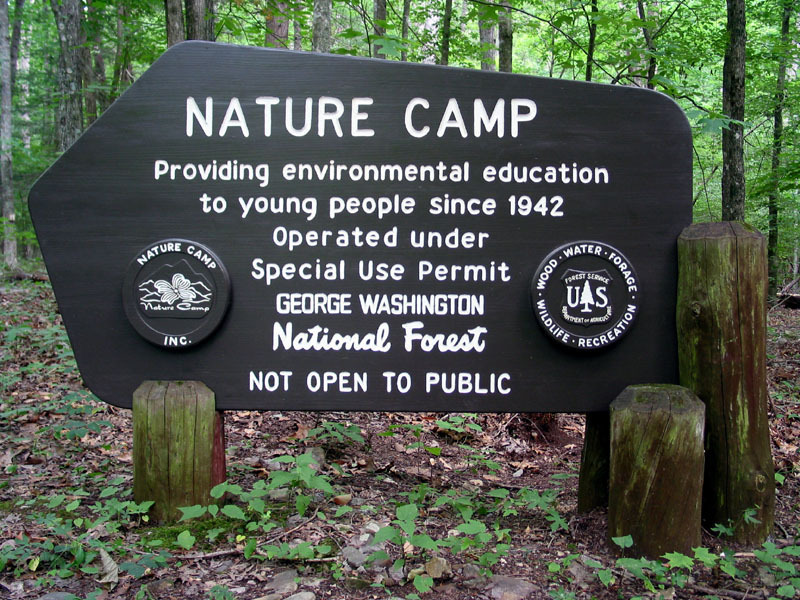 Located in the town of Vesuvius in the Blue Ridge Mountains of Rockbridge County, Virginia, Nature Camp is a private, nonprofit, co-ed summer camp which offers an ideal environment for students who have a genuine interest in conservation and the natural world. The goal of Nature Camp is to foster an appreciation and love for nature through direct experience and to inspire young people of today to become environmentally responsible and conscientious citizens of tomorrow. It is first and foremost an academic camp that emphasizes hands-on, field-based, experiential learning. During their two weeks at Nature Camp, campers study in a variety of settings, including classrooms both inside and out, and spend much of their time behind the eyepieces of binoculars, knee-deep in a cold stream, running with butterfly nets, and completing written assignments. While there is hiking, a swimming pool, and a recreation field for free time, those seeking a solely recreational experience will not be happy at this camp. Green Spring Garden Club, Inc., awarded 2 Nature Camp scholarships in 2018. Campers attend a session that matches their Fall grade level.